On Monday, April 1st, the Artist in Residence Eau&Gaz takes place at FuturDome, independent museum, in Milan. For its 5th anniversary, the residency is leaving its usual habitat and exploring new venues. 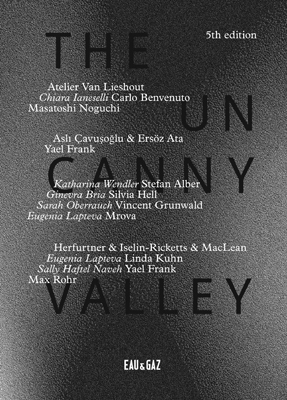 Following the invitation by Atto Belloli-Ardessi and Ginevra Bria, the Artistic Direction of FuturDome, it gives an inside view of its happenings with the exhibition The Uncanny Valley. 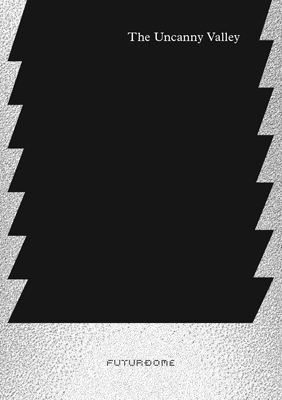 FuturDome is a non-profit, curator-run space in Milan, a project voted to enhance contemporary arts and artists. As pivotal testing ground for interdisciplinary discipline testing the concept of limits, FuturDome combines non-finished domestic spaces together with visionary environments and artistic incursions. Its aim is to create connections between different publics – residents, authors and cultural institutions – within an unexpected, transitional and historical platform. Built in 1913, the FuturDome building was home to the last remaining futurists during the 1940s and has remained a place of debate for new aesthetic currents. Its abandoned renovation site, decommissioned prior to the finishing touches, curiously mirrors this sense of anticipation. During its temporary residence at FuturDome, Eau&Gaz sheds light on its own premises of collective living. By viewing its home location from a distance, Eau&Gaz examines mechanisms of displacement and exclusion. Sigmund Freud once described the uncanny as something which is both familiar and unfamiliar. In its disturbing ambiguity, a slippage between waking and dreaming, it allows different shades of meaning to coexist. The exhibition The Uncanny Valley emphasizes the topographical dimension of the Freudian uncanny by looking into the privacy of the interior for a more general reflection on the question of social and individual estrangement, alienation, exile, and repression. The compilation of artists is based on former and current participants of the residency program as well as various positions from South-Tyrol. After the temporary base in Milan, June 1th Eau&Gaz will head back to the Alps for its annual show in Lanserhaus in Eppan, South-Tyrol.